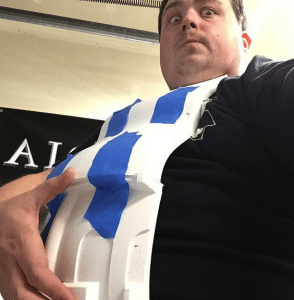 30 printers to making a boat! 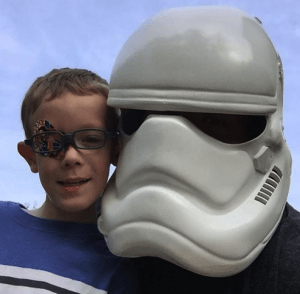 Over the past year, we have seen many incredible 3D printing projects take place. 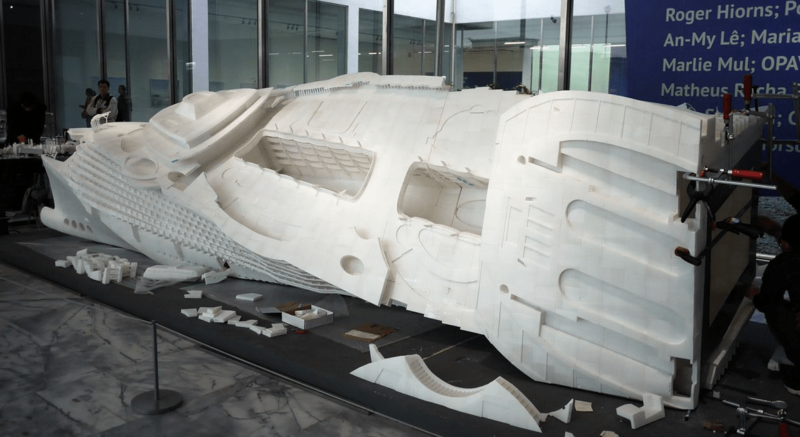 There have been houses, cars, boats, and prosthetic hands that have all been created on 3D printers. However, one artist, named Hung-Chih Peng, may have them all beat, at least when it comes to creativity and time involved. Hung-Chih Peng is a Taiwanese artist who thinks outside of the box, and I’m not just talking about throwing in a few extra colors on a painting, or sculpting a slightly controversial scene. 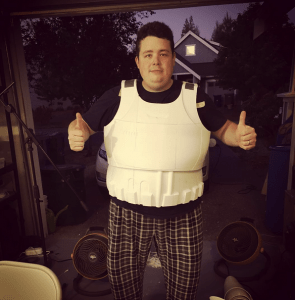 He has garnered a tremendous amount of attention with his unique exhibits such as Post-Inner Scripture in 2013, God Pound and 200 Years in 2009, and Little Danny in 2002, among others. 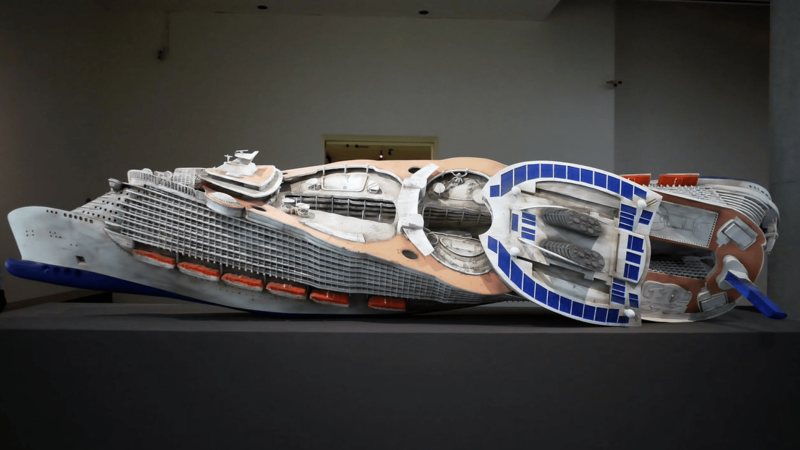 Now Peng’s latest work is The Deluge – Noah’s Ark, which is currently an exhibition that can be seen at the Taipei Fine Arts Museum. It takes a model of a boat, and twists and turns its body in a way that isn’t physically possible in the real world. Currently on display is this piece which Peng has created. 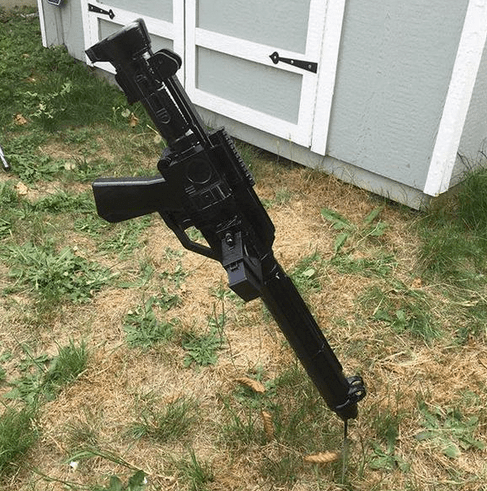 It is 3D printed and measures 2 meters long. It depicts a time when the Anthropocene period (a period when human activities have/had significant global impact on Earth’s ecosystems), is replaced by the Mechanocene period when machinery begins taking over some of the jobs. 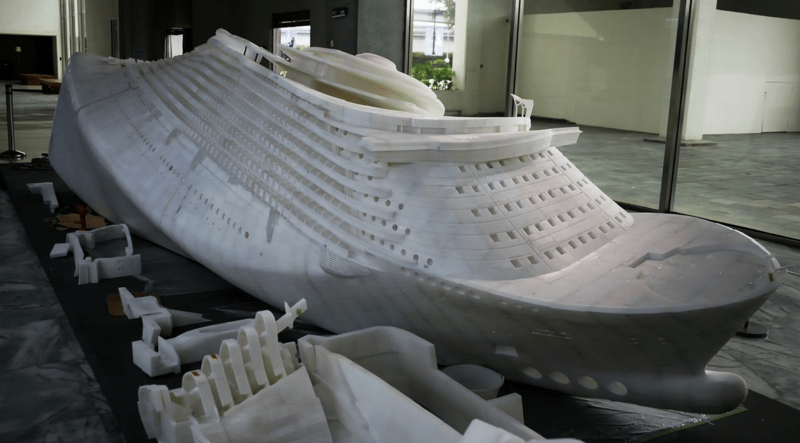 As part of the exhibition that features Peng’s 2 meter long “Noah’s Ark,” which has been twisted and turned in all directions, he has also turned his exhibition space into what he terms “an artist’s studio,” and is currently 3D printing a HUGE 26-foot-long model of the same boat, using 30 UP 2 FDM-based 3D printers. 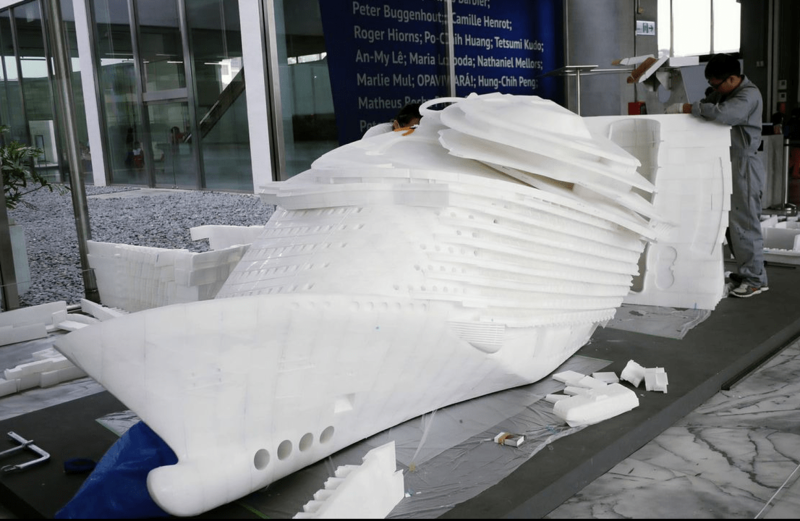 In all, there will be about 100,000 separate 3D printed pieces that will go into assembling this giant boat. Visitors to the exhibit can see first hand as 30 3D printers are constantly working, printing different parts of the boat. 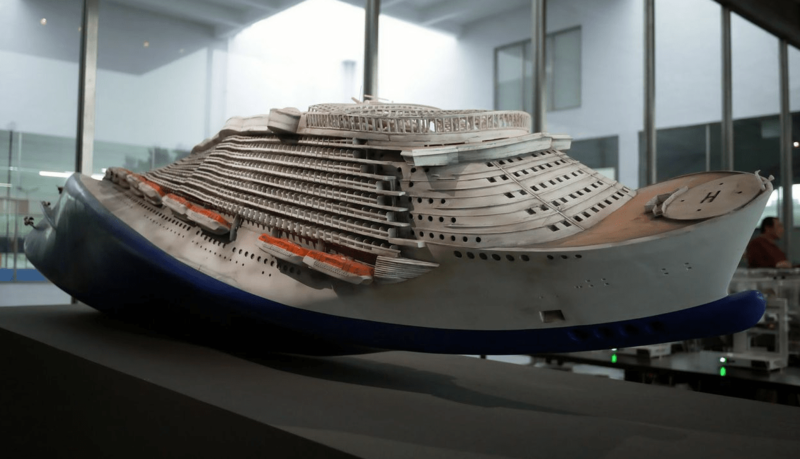 When finished, they are assembled onto the larger model, which also is currently on display. 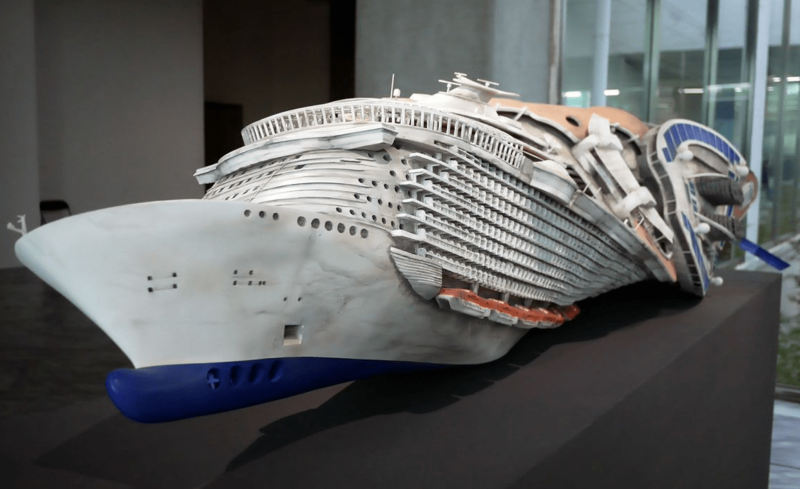 What do you think about this incredible art exhibit? Discuss in the 3D Printed 26 Foot Boat forum thread on 3DPB.com. 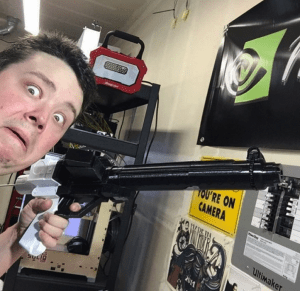 Brush Up on Your 3D Printing Knowledge! 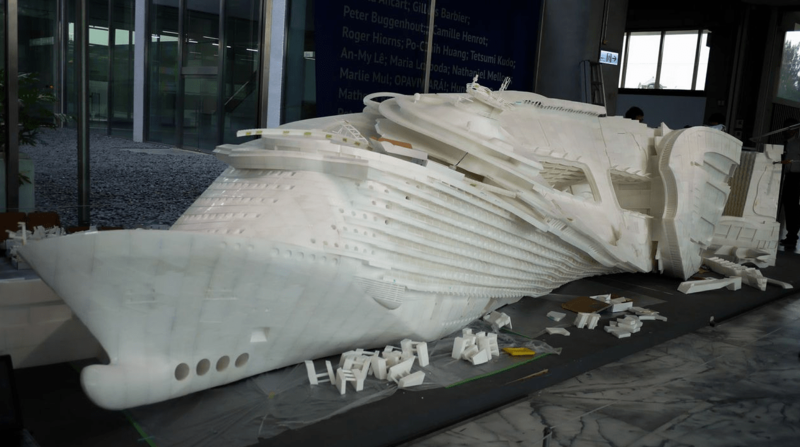 Here’s a Quick Look at 2014’s Top 10 3D Printing Ventures in Pictures. 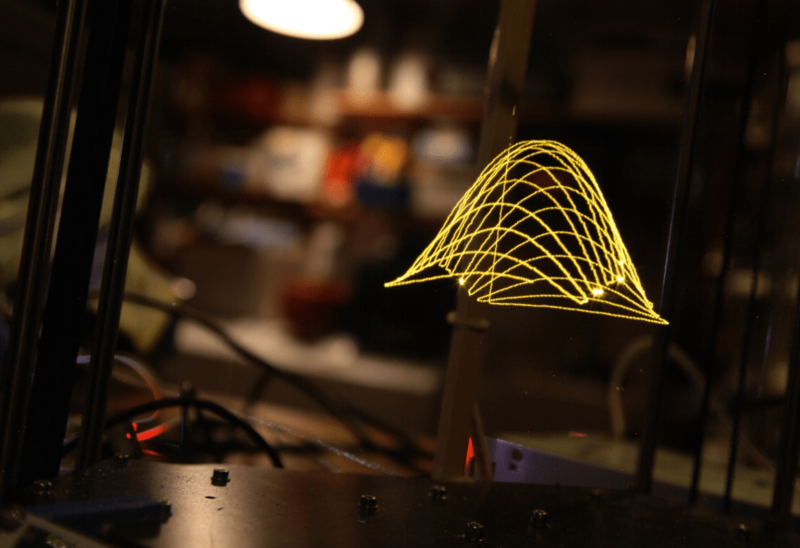 In 2014, 3D printing burst onto the scene in fields ranging from medicine to music. Here’s a look back at the best projects in 10 categories. Certainly the most noble applications of 3D printing came from the world of medical science this year. Because of its ability to produce parts as unique as our own bodies, the technology has enormous potential in this field. In 2014 alone we saw the first step toward a 3D-printed bionic eyeand the development of a 3D-printed airway splint that is now helping a baby breathe by keeping his airways — which were prone to collapsing — open. It was also the year in which exact replicas of a patient’s brain tumor and heartwere made so that surgeons could practice on them before performing real surgeries. Our winner in this category, though, goes to the woman who received an entire 3D-printed skull back in March to relieve pressure from her swelling brain. The operation was a success, and the woman was back at work shortly after it was completed. Speaking of implants, we were also wowed by the 3D-printed face implants that recently got approval from the FDA. Called the OsteoFab Patient-Specific Facial Device, the implants truly highlight the customizability of 3D printing, as they can replicate the exact bone structure underlying that most distinct feature we all possess – our face. While not as serious as the medical applications of 3D printing, we did see the technology get put to recreational use in some fields in 2014. There was a nearly indestructible ping pong ball, a 3D-printed chess set and even a 3D-printed version of Cyvasse, the table game from “Game of Thrones.” There was also this awesome 3D-printed kayak, which is the winner of this category because, well, it’s a kayak! Food is about to get a lot more fun as 3D printers work their way into both professional and home kitchens. The most fun application of the technology to food we saw this past year comes from a group of MIT students who developed a machine that could 3D-print ice cream. Yup, ice cream. Other contenders in this category include mini 3D-printed sculptures made from sugar, a 3D printer that spits out “fruit” and the promise that someday we’ll be able to 3D-print pasta in any shape we want. There’s also this super-cool open-source printer that can make pancakes in pretty much any design you can dream up. Although not actually made of something edible, another invention that needs to be mentioned in this category is the 3D-printed doodad that helps eliminate that watery squirt of ketchup that has plagued mankind since the tomato paste was first invented. God bless technology. Humans aren’t the only ones who benefitted from 3D-printing technology in 2014. The lives of our animal friends improved as well. There was the penguin who had his life saved through a 3D-printed beak; a duck named Buttercup who got a new 3D-printed flipper foot; and this little guy,TurboRoo. The puppy, who was born without his front legs, had a special cart 3D-printed for him by Mark Deadrick, the president of a 3D-printing company called 3dyn, who then affixed some skate wheels to it so that the little guy could get around. 3D-printing technology will allow new, cheap iterations of the cart as the puppy grows. While the items in this category could all technically have gone under “Medicine,” we had to create a separate one because there were just so many of them made in 2014. There were the custom-made braces for scoliosis patientsthat promise to be more effective and more comfortable; the 3D-printed leg known as Roboleg; the 3D-printed exoskeleton that has helped a paralyzed skier to walk again; and the 3D-printed ultrasound cast that just might become a fashion accessory. Although it’s hard to choose a favorite from the amazing breakthroughs in this category, we are going with the prosthetic arms made by Not Impossible Labs for victims of the violence in South Sudan through Project Daniel. 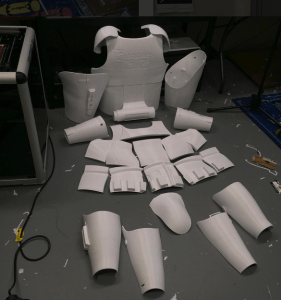 The arms can be made in just six hours and cost only $100, which, through fundraising, means they can give hope and dignity back to thousands of amputees. 2014 is the year in which a 20-foot-tall 3D-printer in Amsterdam began producing an entire house and, for that, it is the head-and-shoulders winner in this category. 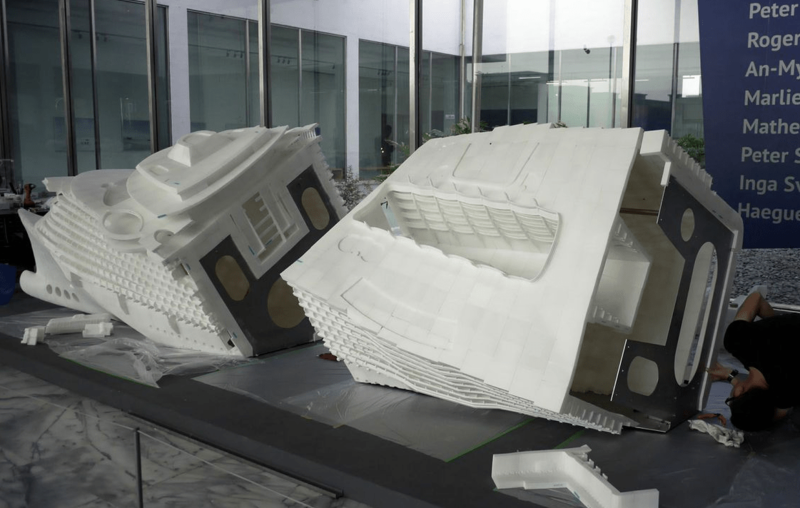 3D printing holds a lot of promise in the field of architecture not only because of the customization available (like this castlethat came to 3D-printed life in 2014), but because many predict it will be able to quickly and cheaply put up structures — especially in underprivileged areas or places struck by natural disaster. And what do you fill a 3D-printed house with? 3D-printed furniture, of course. There were so many applications of 3D printing in the world of fashion in 2014 that my CNET colleague Michelle Starr will be putting together a separate gallery to highlight them all. Still, any comprehensive wrap-up of 3D printing technology in 2014 couldn’t leave out this vital category, so for it I nominate this fashion-forward invention. It’s a 3D-printed dress that has 20 reactive displays built into it that become transparent as the wearer reveals more data about herself online. The concept causes us to rethink technology — especially the wearable kind — even while employing it to bring the project to life. 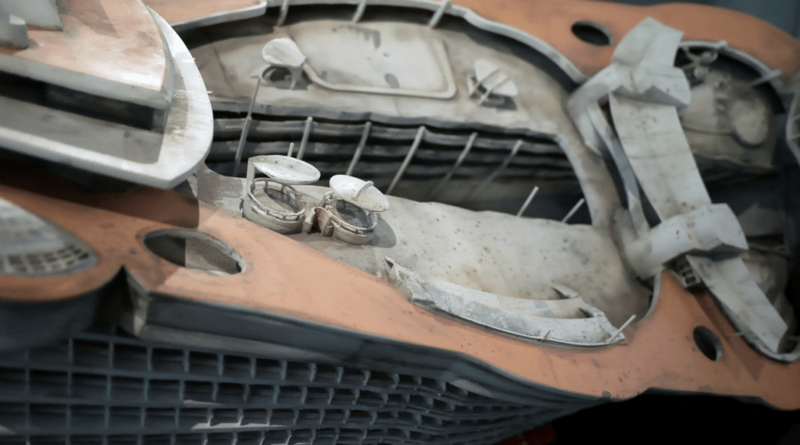 2014 is the year in which the world’s first 3D-printed car design competition was held, and the company behind that competition, Local Motors, took the winning design by Michele Anoé of Italy into production. The car itself was unveiled at Chicago’s International Manufacturing Technology Show in September. They are now signing up interested parties on their website who will be alerted once the car is ready for mass consumption. While that’s certainly cool, we had to give this category to another vehicle — the Bloodhound SSC. While it isn’t entirely made from 3D-printed parts, it does have its share of them and, well, it just looks super cool. That, and it’s powered by a jet engine and rocket cluster that will allow it to top out at 1,000 MPH. The first is this life-size figurine of your unborn baby. That’s right, if you just can’t wait to hold junior in your arms, a company called 3D Babies (of course), will use ultrasound data to recreate your in-utero tike’s head and put it on one of four bodies available in three different skin tones. If that sounds a little creepy, wait till you get ahold of this one: It’s an urn to hold your loved one’s ashes that looks just like the head of, um, your loved one. That’s right, a company called Cremation Solutions promises to be able to make the urn using just a few photos of the deceased. A small urn costs $600 and will hold a portion of the ashes, while a full-sized version that can hold all of the ashes will run $2400. But really, can you put a price on something like this? While 2014 did see its share of 3D-printed instruments come to life — like this saxophone and these super-cool instruments, we’re going to award this category to someone who used a 3D printer to make music in an entirely different way — by playing it on the printer itself. That’s right. 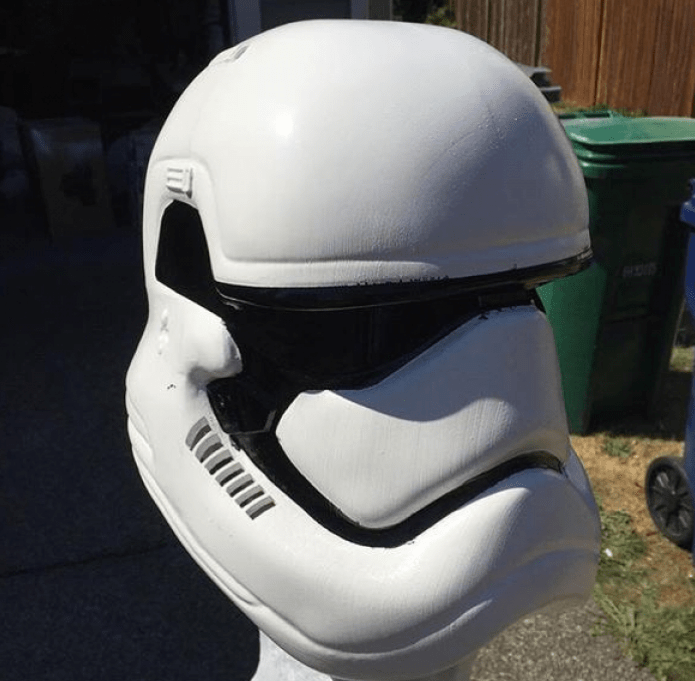 A YouTuber called Zero Innovations figured out how to rig a Simple Metal Printer from Printrbot to play “The Imperial March” from Star Wars using the sounds of the motors that move the printhead. While this also deserves a “Most Creative Use of a 3D Printer Award,” instead I’ll name the piece the official song to The Year of 3D Printing. Nicely done Zero Innovations. Nicely done. A man in Minnesota didn’t just manage to design his own 3D printer, but he used it to 3D print a storey-high concrete castle! This is just a test-run however, as he plans on building a full size two-storey house with it! 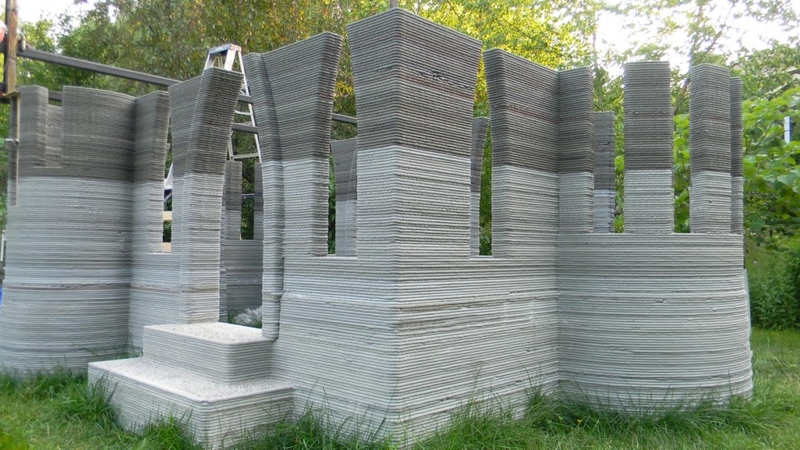 A building contractor living in Minnesota has developed his own 3D printer which can print concrete directly from CAD design software, and he has used it to 3D-print a castle in his back garden. According to 3DPrint.com, Andrey Rudenko has printed a small single-level castle (a child’s playhouse) in just three months, as part of a test before printing a full-sized two story house, which would make it bigger than the houses that were 3D-printed in 24 hours in China. Similar to the Chinese inventor Ma Yihe, Rudenko has built a 3D printer that prints out a mixture of cement and sand in layers measuring 20mm by 5mm, using technology and software from the open-source RepRap 3D printing project. However, Rudenko, who has a background in architecture and engineering, is critical of Ma’s design. He thinks that the ten 200 sq m houses that Ma printed are more like shells than homes. “A cheap house built in 24 hours is not my goal. As an experienced builder, I know that to avoid problems in the future, it is more important to produce homes of a good quality, which may take longer to build than cheaper homes made quickly,” Rudenko said. He has also designed his 3D printer to print the concrete at such a high viscosity that the printed walls can act as a decorative element, as opposed to the Chinese homes, which had quite rough-looking jagged edges, and would require sheetrock (dry wall) to be added on top before they would be habitable. Rudenko’s castle was printed completely outside in his garden, where the cement sets quickly in the warm summer temperatures of 35 degrees Celsius (95 degrees Farenheit). The structure is large enough for adults to walk into, and to give you a measure of how long it took to print, the darker area of the castle, which measures 50cm in height, was constructed in eight hours using his 3D printer. “I still have some imperfections, mostly when I stop the printer, but if I print nonstop, the layers look great,” said Rudenko. Rudenko is looking to collaborate on his 3D printer project with other architects, engineers, builders and 3D-printing enthusiasts (his email is listed at the end of the video). 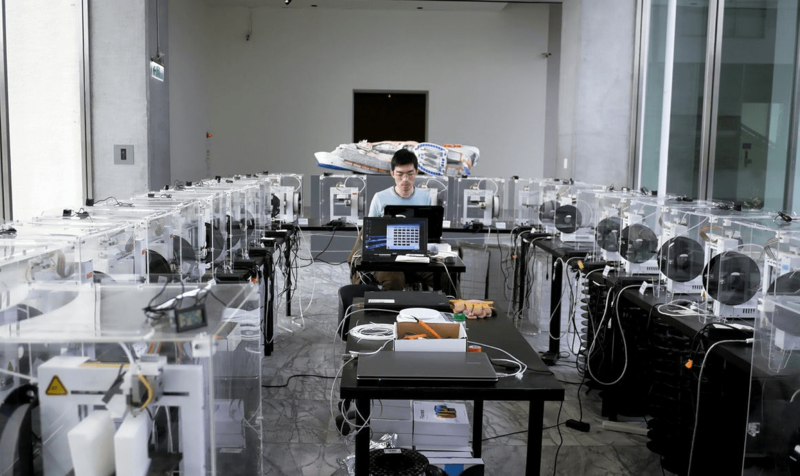 The race to produce 3D printers that can print buildings continues as, in theory, the technology could bring affordable housing to people in developing countries and revolutionise the construction industry. Slovenian firm BetAbram plans to release a 3D printer that can print a house next month. The BetAbram P3 can print structures measuring up to 144 sq m.